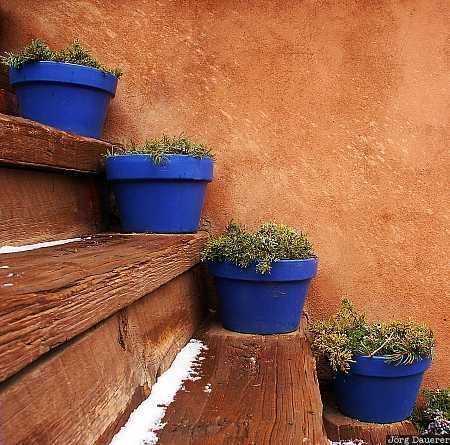 Blue flowerpots on wooden stairs in downtown Santa Fe. Santa Fe is in northern New Mexico in the south west of the United States. This photo was taken in the morning of a sunny day in February 2004. This photo was taken with a digital camera.